This weekend, Auto Bavaria brings you the first-ever BMW Motorrad Fest at Auto Bavaria Glenmarie. If you’re looking for a new bike or planning to upgrade your ride, this is one event you do not want to miss. Find your ideal motorcycle from a wide variety of BMW Motorrad segments at the three-day event, which takes place on April 12-14, from 9 am to 6 pm. 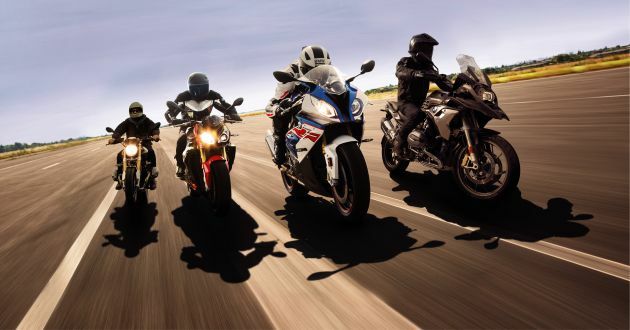 Be it Sport, Tour, Roadster, Heritage, Adventure or Urban Mobility options, BMW Motorrad has it all. Discover exclusive offers that are in store for you. These include attractive rebates, complimentary giveaways with purchase, hassle-free financing packages, special offers on BMW style collection merchandise and accessories, along with other fun games and activities. Exclusively for this event, Auto Bavaria is collaborating with two partners, Harman Studio and Armorblaze. Come and check out Harman Kardon’s latest high-quality audio products, which will be available at special prices. Meanwhile, Armorblaze will be showcasing its range of products, primarily paint protection film for your motorcycle. So what are you waiting for? Make your way to Auto Bavaria Glenmarie this weekend, because there’s no better time than now to ‘Make Life A Ride’ with BMW Motorrad. For more information, visit Auto Bavaria Motorrad’s official Facebook page.